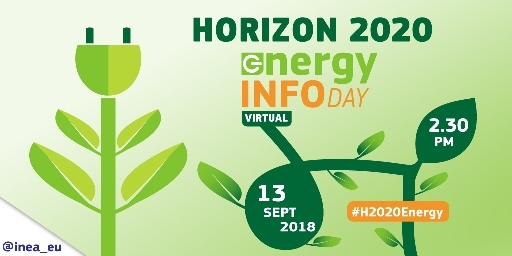 You can now register for the virtual Horizon 2020 Energy info day which will take place on 13 September from 14:30 (Brussels time). ​More information about the info day is available on the event page. ​The link to the web stream will be sent by email to registered participants. The participants will have an opportunity to ask their questions live using sli.do (hashtag: #H2020Energy). We look forward to meeting you virtually on 13 September!